Have you just moved to a new place? Ask your neighbors for the best plumbers in your locality. Once you get several phone numbers, use the reference and sort the best one among them. The best plumber is the one who has a good reputation. Follow the lead of your neighbors and you can get one. 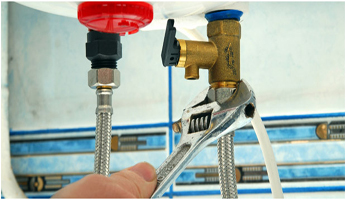 This is one of the most important tips you can follow while looking for a good plumber. If you are searching online, you will find the feedbacks and reviews of the customers and homeowners. You can go through the reviews well and you can gather lots of information from there, like the fees, efficiency and also the professionalism. You should not miss this ever while appointing a plumber for your house. Before appointing one, check out the license of the plumber and make sure if it is renewed timely. Whether you call him for water heater installation NJ or anything else, you have to go for the background check and test the individual before dealing with him. By checking his license you make sure that the plumber you are appointing is eligible to do the work as per the industry rules. While appointing a plumber, you should ask important questions to check his potentiality for the job. Ask him about his experience; the more experience he has the more effective he is for the job. Don’t forget to check his license. Plumbing job can bring challenges during the work. Only appoint the one who is good in predicting situation from your complaints and always come prepared. He shouldn’t look for apparatus or anything during the work. So, here you get certain effective tips on appointing a plumber for your building. Find out the best one and get your problems solved within less time.